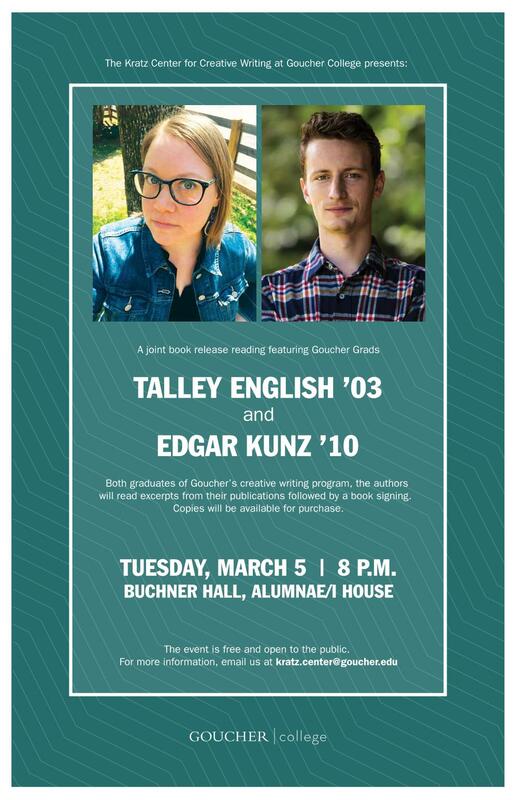 The Kratz Center for Creative Writing at Goucher College presents a joint book release reading featuring novelist Talley English and poet Edgar Kunz, both graduates of Goucher’s creative writing program, on March 5, 2019. The authors will read in Buchner Hall beginning at 8:00 p.m., to be followed by a book signing. 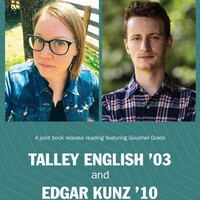 English’s novel, Horse, is published by Knopf, and Kunz’s collection, Tap Out, is from Houghton Mifflin Harcourt. Copies will be available for purchase.